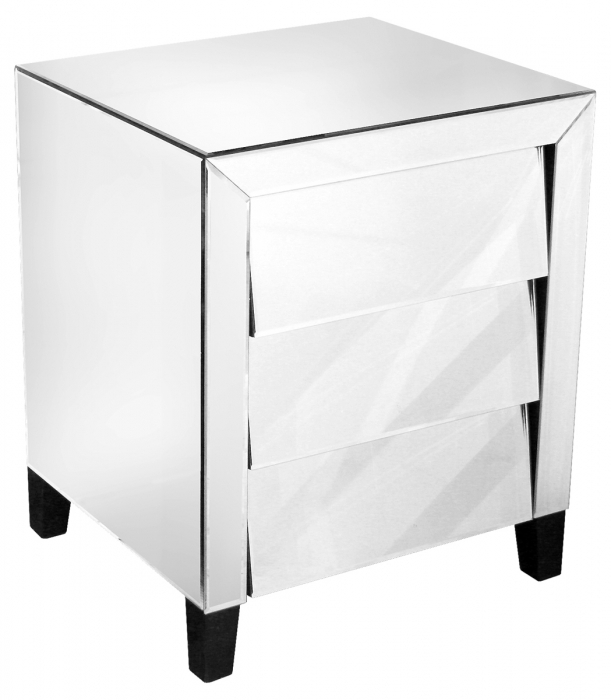 This practical reflective Mirrored 3 Drawer Bedside Table is ideal for the bedroom, lounge or spare room. It has smooth handle-less draw action with quality mirror finish. Drawer can be pulled open by pulling at the bottom rather than pulling on a knob or handle which inevitably will leave finger prints.